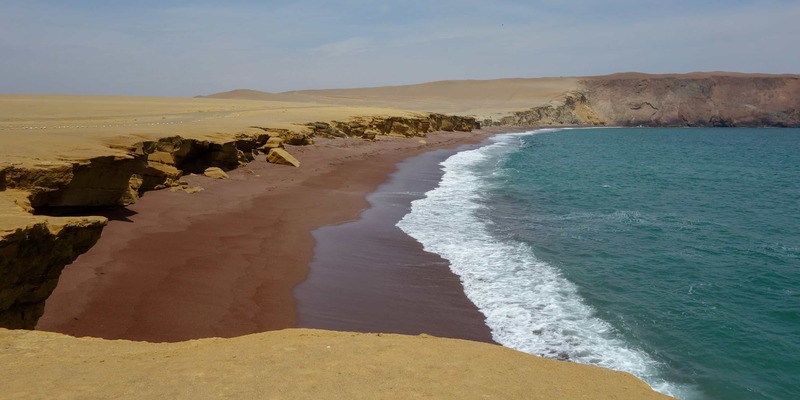 Paracas, located south of Lima, is a popular excursion from Peru’s capital. It also makes for a great stop when travelling in between Arequipa and Nazca in the south and Lima in the north. It is easy to stay here for a couple of days, watching wildlife, relaxing on beaches and enjoying excellent seafood. If you haven’t had any ceviche yet, this is the place to Peru’s national dish. 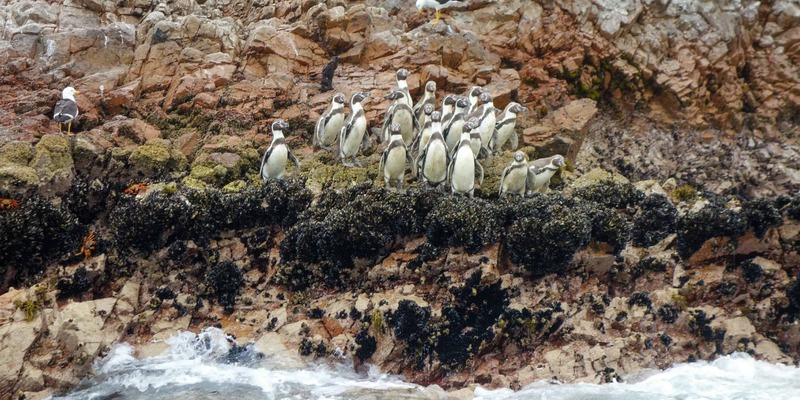 Often called ‘the poor man’s Galapagos’, the Islas Ballestas are the most popular sight near Paracas. Boats leave from the harbour in the morning. The earlier you go, the higher your chance of spotting amazing wildlife. Also, the sea is calmest in the mornings. When we went, we saw penguins, sea lions and a multitude of birds. Those birds leave so many excrements behind that the ‘guano’, as they call it, is harvested regularly, to be used as fertilizer. It is hard to believe but some countries even fought wars about these islands in the past! Before arriving at the islands, boats stop to take in the candelabra, a giant petroglyph etched into the rock of the Paracas Peninsula. Its origins remain a mystery and scientists have been arguing whether it was left by the Paracas civilisation more than 2000 years ago or whether it was a symbol of Peru’s independence war against the Spaniards. I already mentioned the bird droppings. Someone mentioned to me that it’s worth investing into one of the cheap hats they sell at the harbour. I didn’t and nobody on my boat ended up with bird poo in their hair, but if you are afraid of that, arrive a bit early and go shopping first. 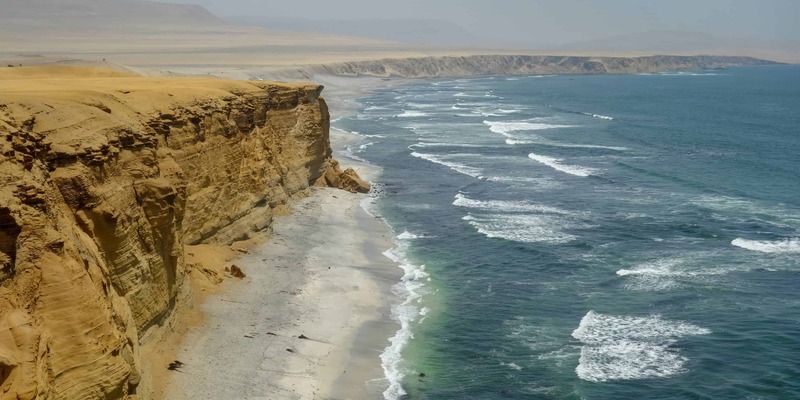 There are several ways to explore the Paracas Peninsula. The easiest is to join a tour from Paracas, but you will have more time to properly see the sights if you rent a bike or a quad and go independently. On the peninsula, make sure to check out the Cathedral, a pretty rock formation that partly collapsed a couple of years ago. You will come past many pretty beaches, so bring a swimsuit if the weather is good. Some are off limits, but some are very nice for taking a dip in the ocean. Especially if you go by bike, you will welcome the refreshing break. Also, the Museo Reserva Nacional de Paracas is worth a visit for the information you can gain from here about the wildlife in the national park. Have you ever heard of the Paracas civilisation? I hadn’t. Turns out that this civilisation lived on the Paracas Peninsula more than two thousand years ago. 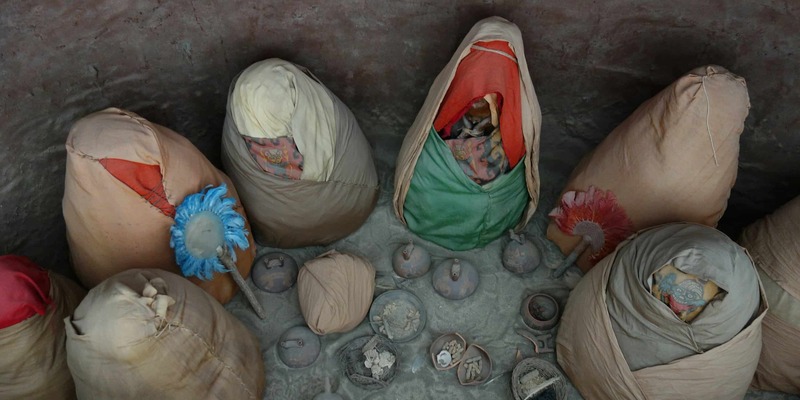 Most artifacts found in excavations were moved to museums in Lima, but a couple remain here. The museum offers many explanations about the Paracas civilisation and their way of life. It also has some interesting exhibits, like the mummy bundles you see in the picture above. They are how the Paracas used to bury their dead, bundled up in a fetal position, just like when they arrived in the world. Since the museum is located inside the National Reserve, it is best visited as part of a trip around the Paracas Peninsula. I am not going to lie to you. Many of the most beautiful beaches in the area are located inside the National Reserve. And many of them are off-limits to tourists, like the one you see above. But Paracas also has its own beach, where you can rent umbrellas and beach chairs. While not as pretty as the beaches on the peninsula, it is very easily accessible. The ocean is freezing cold, so dips in the ocean will probably be short. But the warm sun will quickly warm you up afterwards. If you haven’t had any ceviche yet, this is your chance to try Peru’s most famous dish. The fish will be as fresh as it gets. But Paracas is not just good for eating ceviche. All seafood dishes you get here are amazing. Most restaurants along the harbour offer fresh fish. We often went to Pukasoncco, a restaurant located on Paracas’ main street. They have a wide variety of dishes and portions are so large that you only need one plate for two people. You might have to wait for a moment, since everything is prepared by hand by the owner and his wife. But I promise you that the wait is worth it and that you will get delicious food. Paracas has intrigued me ever since I learned about a unique ancient culture there. What makes it ineresting is that they had elongated skulls, but they weren’t from head-binding and the skulls don’t have regular suture lines. Plus, they have just tested their DNA and found out that it comes from the Caucasus region (Caspian/Black Sea area) – makes me wonder how they ended up in Peru! Did you see the skulls at the museum? We did see the skulls but there were also some illustrations about head-binding. The museum never really made it clear that the skulls were different from any other elongated ones. That is really fascinating information! I had no idea about the Caucasus DNA. How did those people end up in Peru at that time? I have not heard about people crossing the ocean at that time. South America in general has a very interesting history. There are so many different civilisations, I find it very fascinating. I have never been to Peru, but it is definitely on my list. I will refer to this list once I finally make it over to South America! Thank you for sharing. Thank you for your nice comment! I can highly recommend Peru. It is an amazing country and I am sure you would love it.